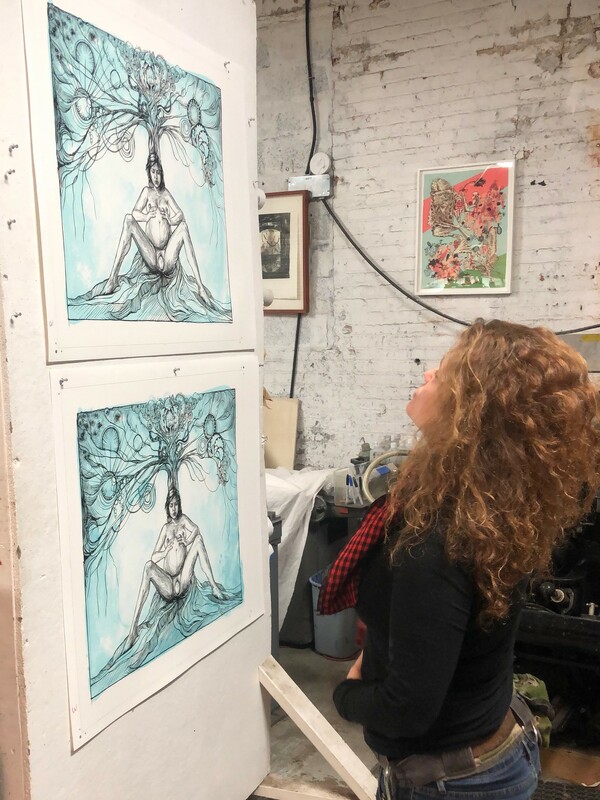 Haven Press Studio has been collaborating with SWOON on printed projects for several years, producing editions in Silkscreen and Letterpress for their edition releases. For her project "Birth", we collaborated on a screenprint where the artist visited the workshop to make a very washy, textural hand painted film for the background element. It is an unusually liquidy, dusty looking screenprint with very fine painterly details. The subject matter is of particular importance as it challenges notions longstanding within the art world, and in our opinion it is a bold statement on femininity, the beauty of life, and the power of creation. Paper size: 34? x 29? Image Size: 31.5? x 26.5?